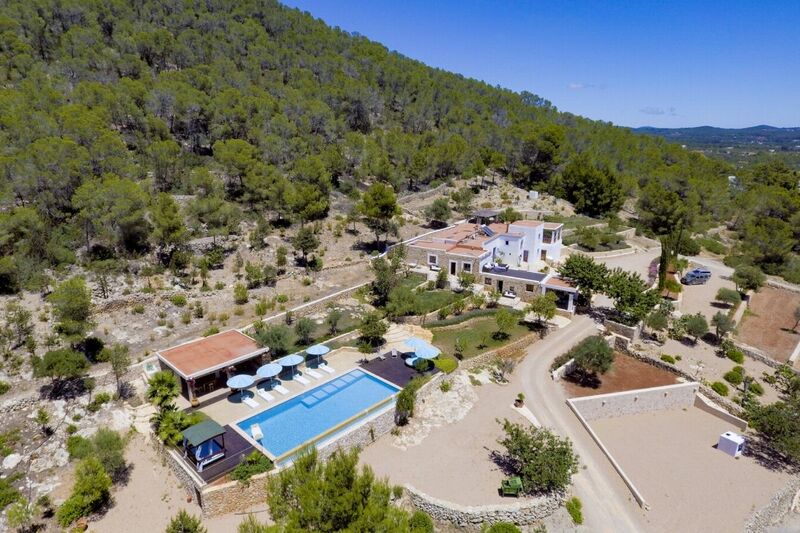 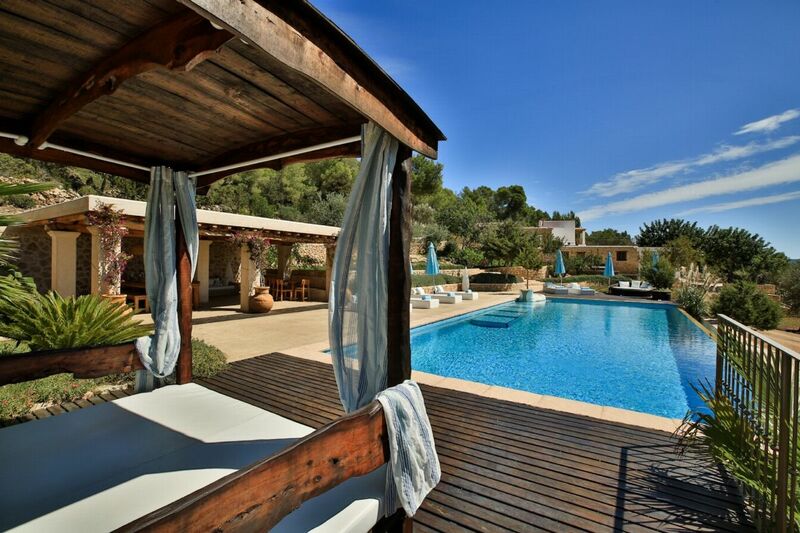 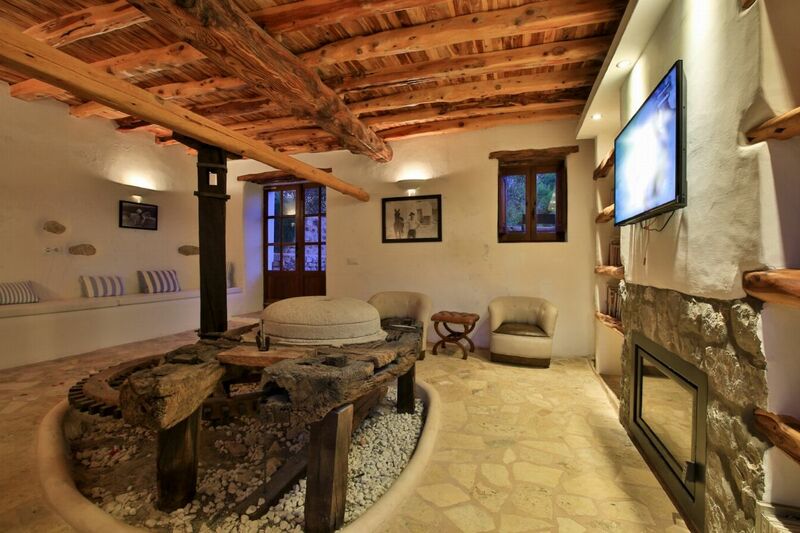 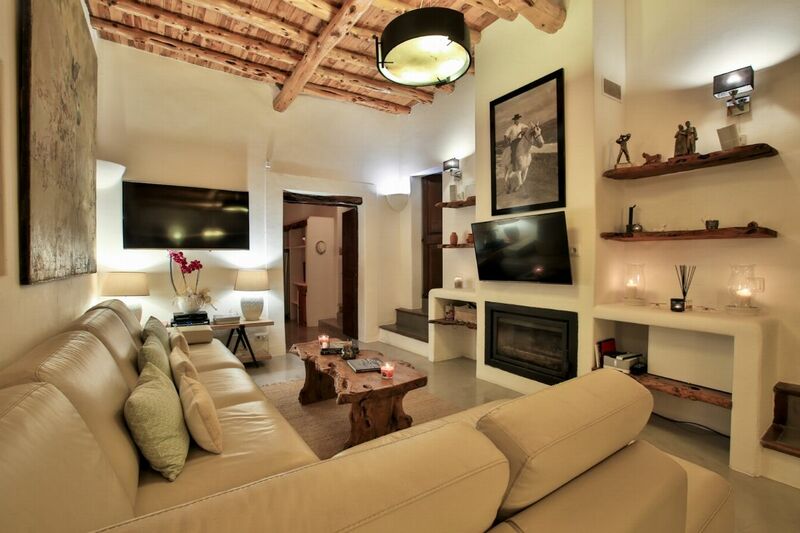 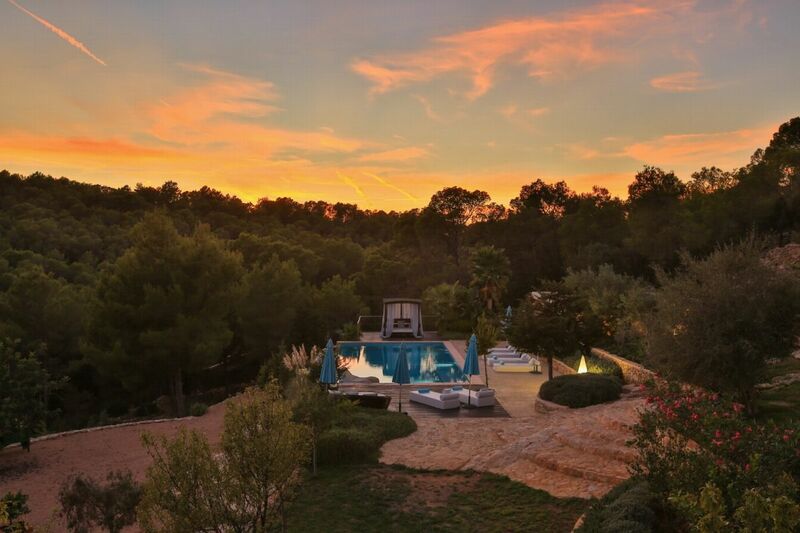 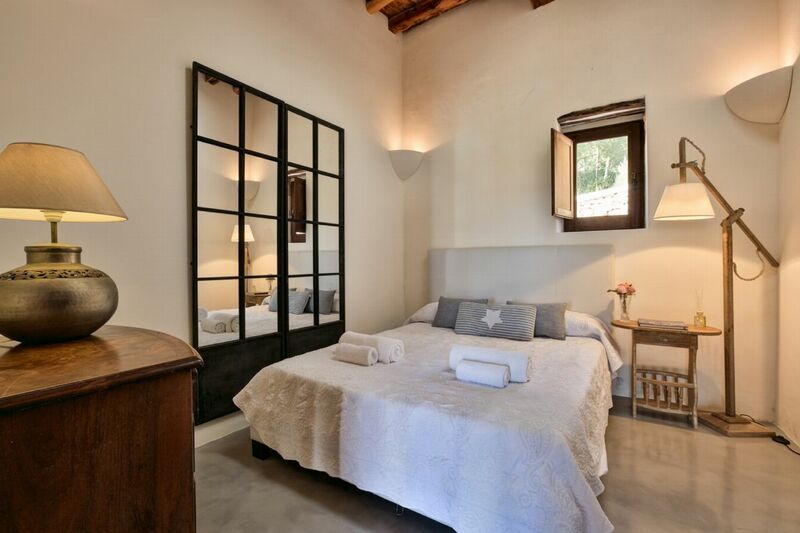 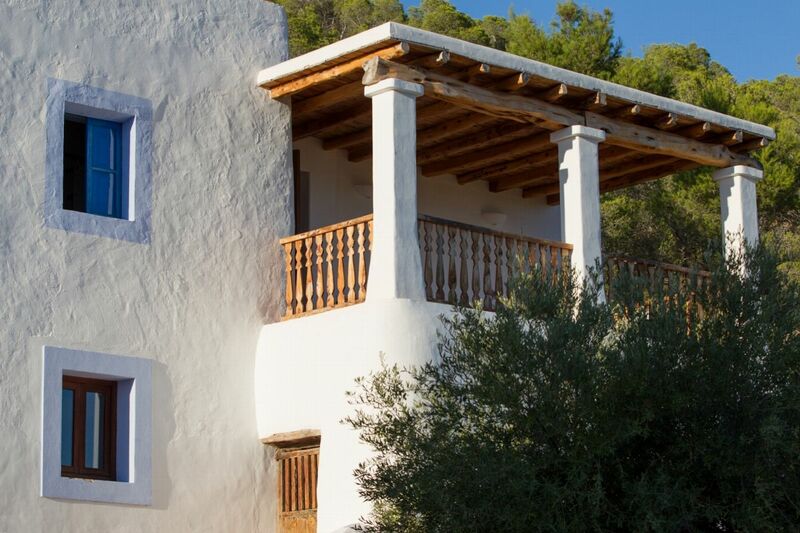 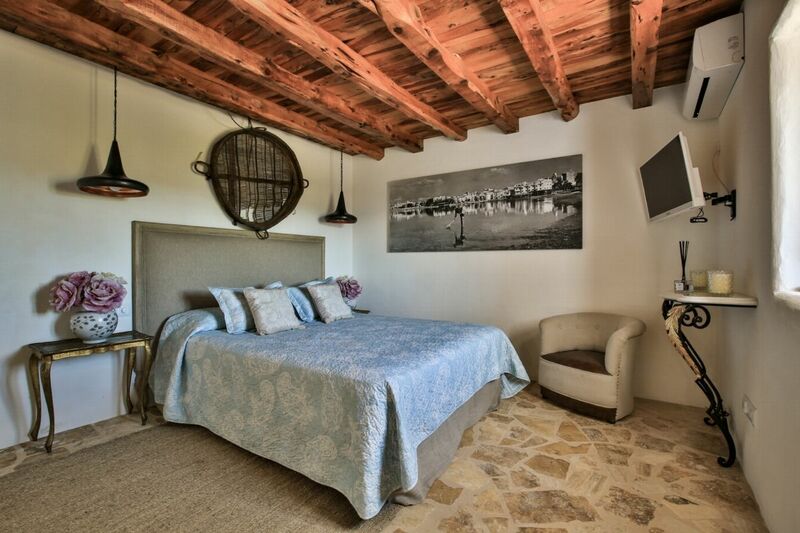 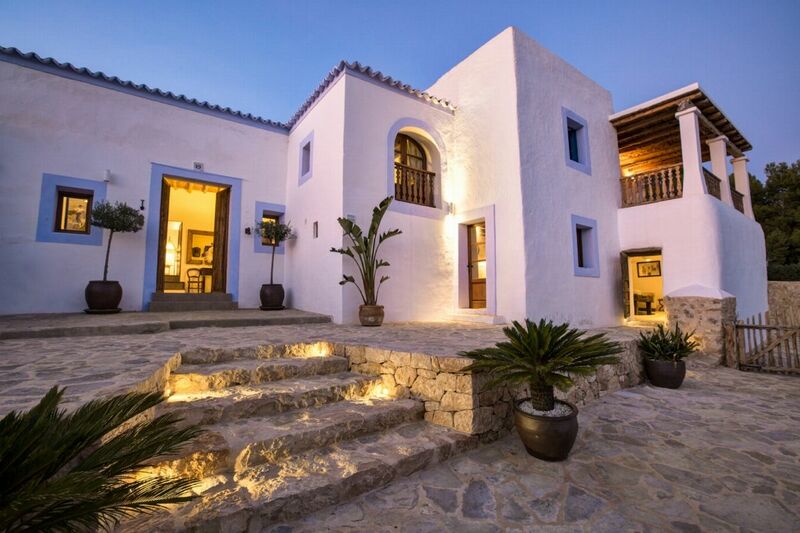 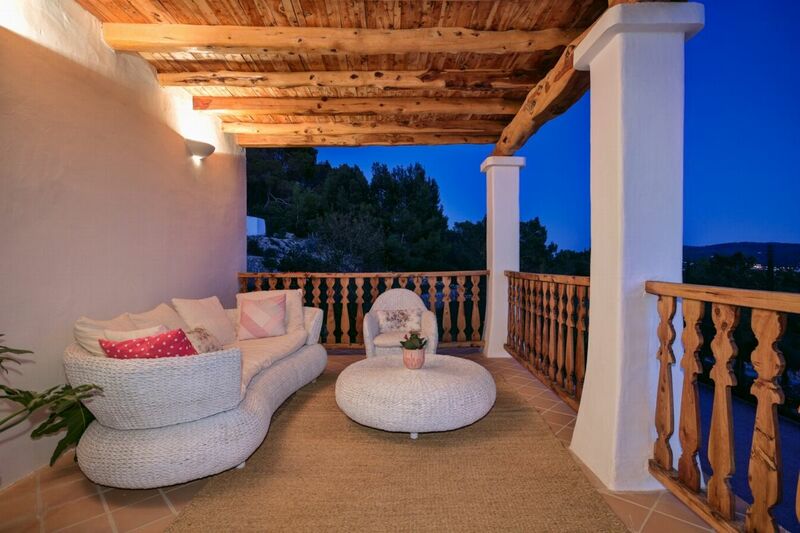 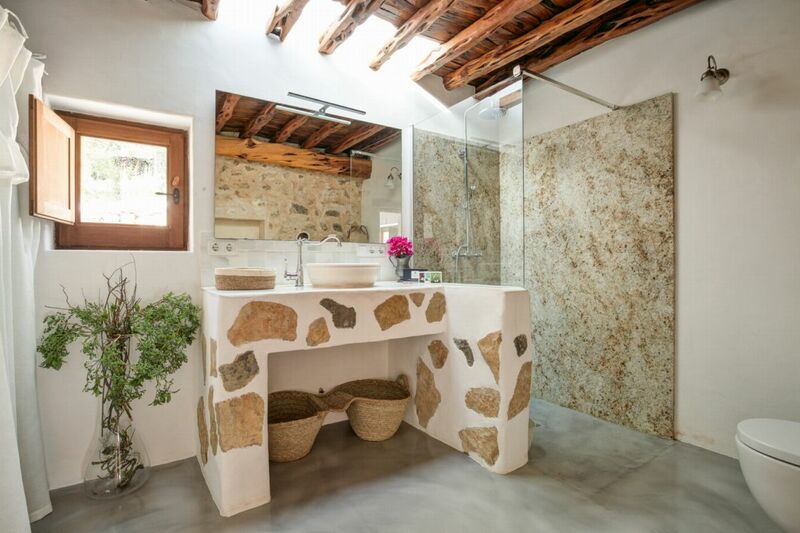 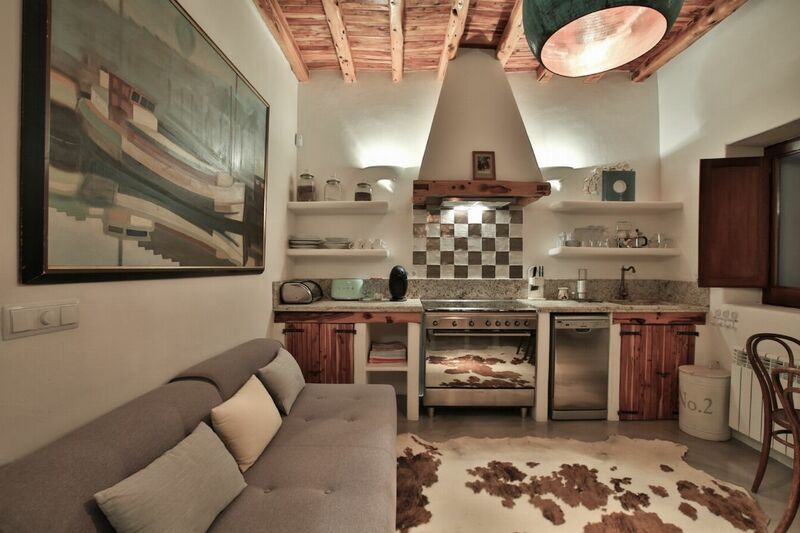 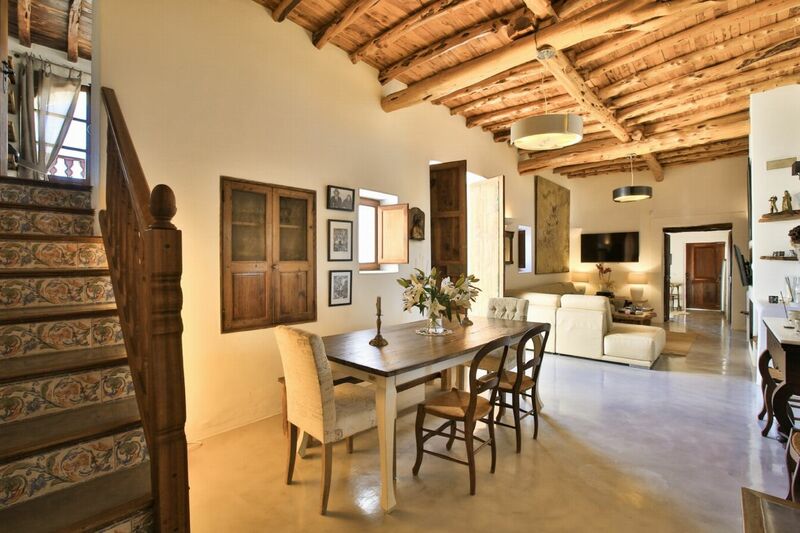 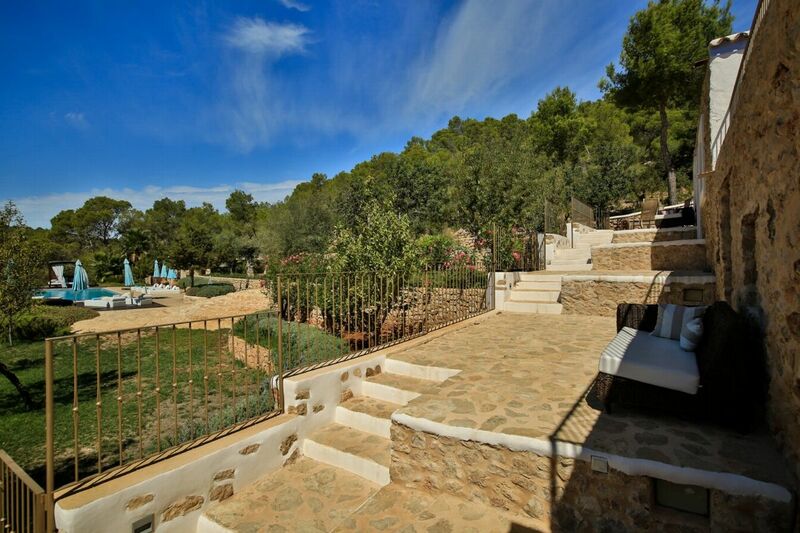 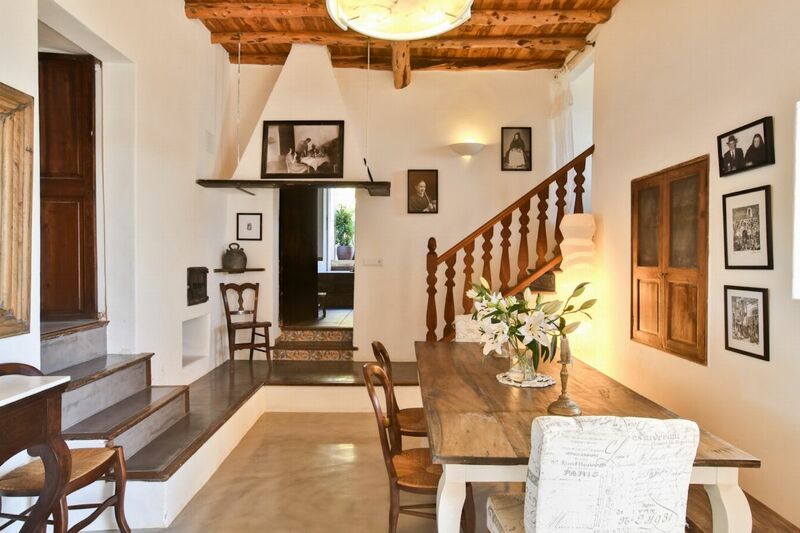 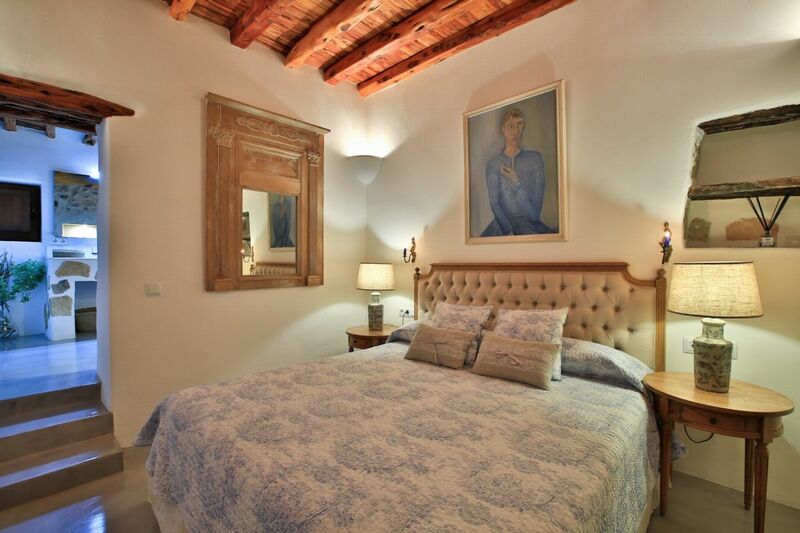 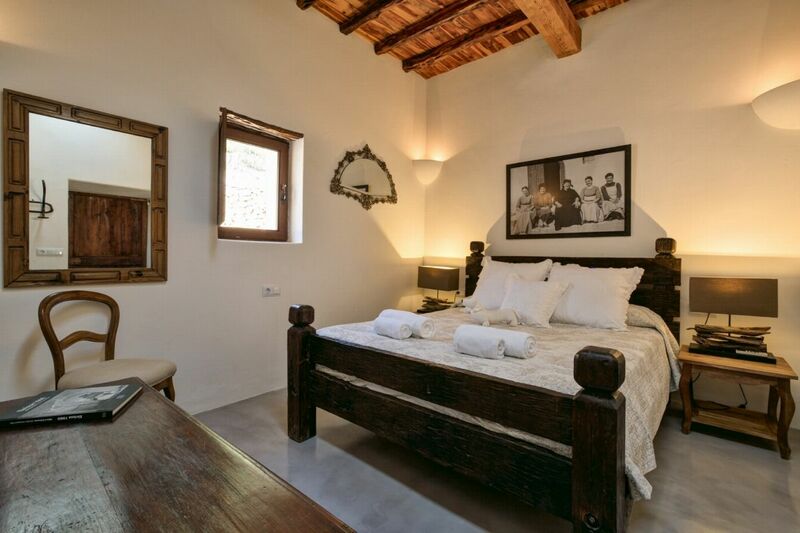 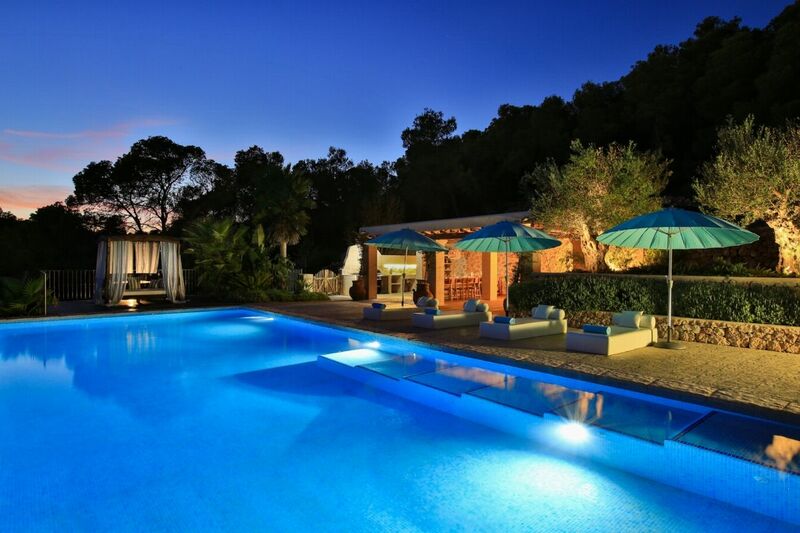 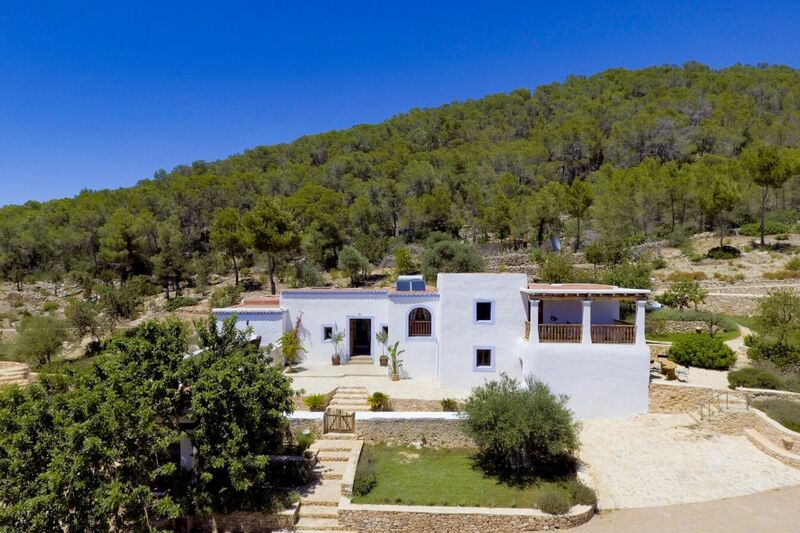 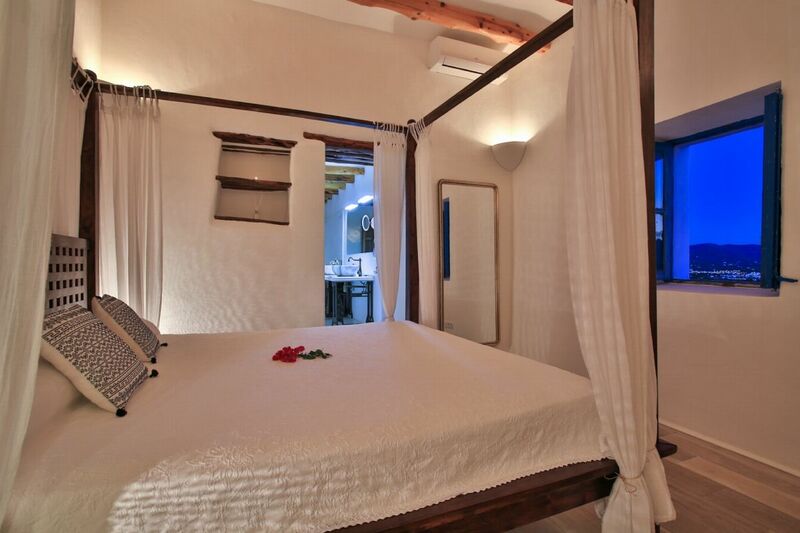 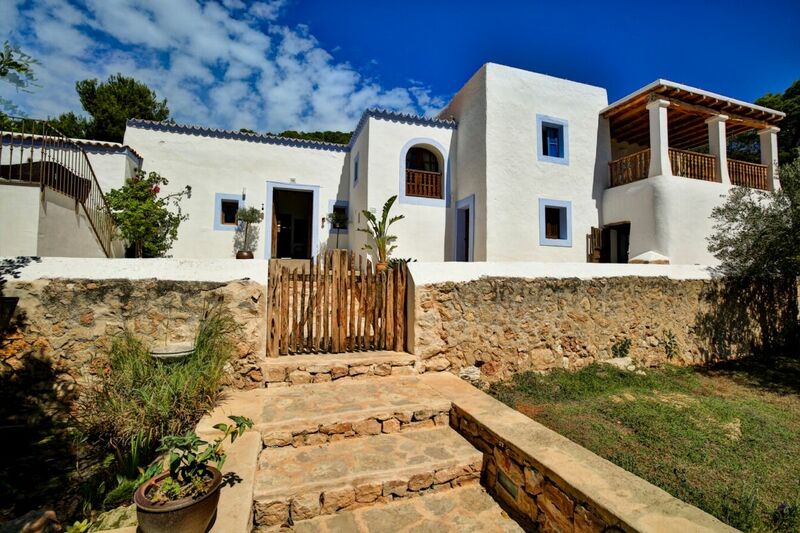 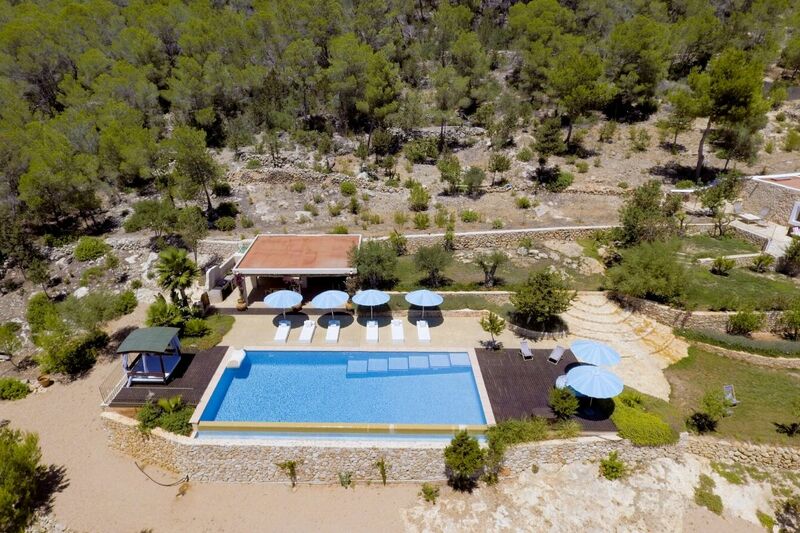 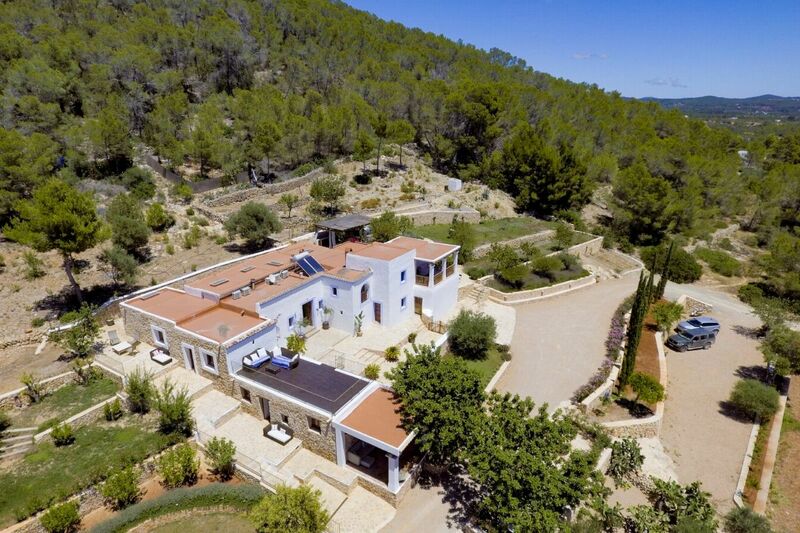 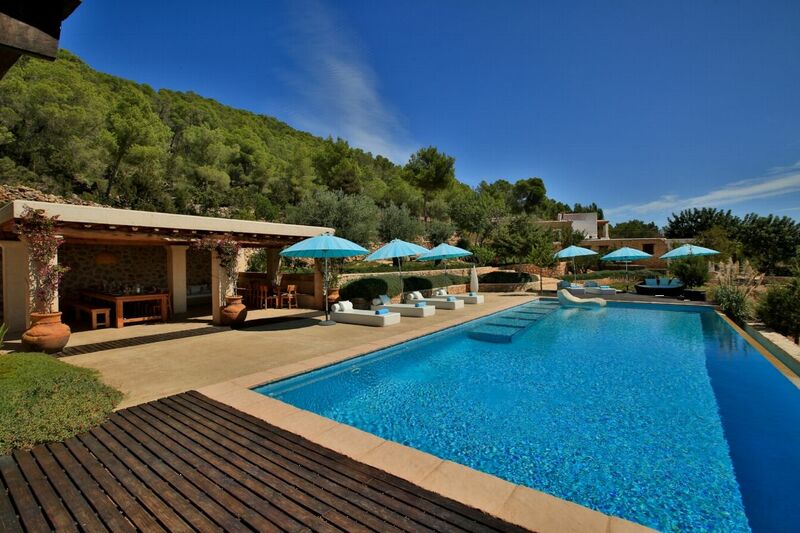 Classically reformed Ibiza finca with sweeping views over San Antonio Bay. 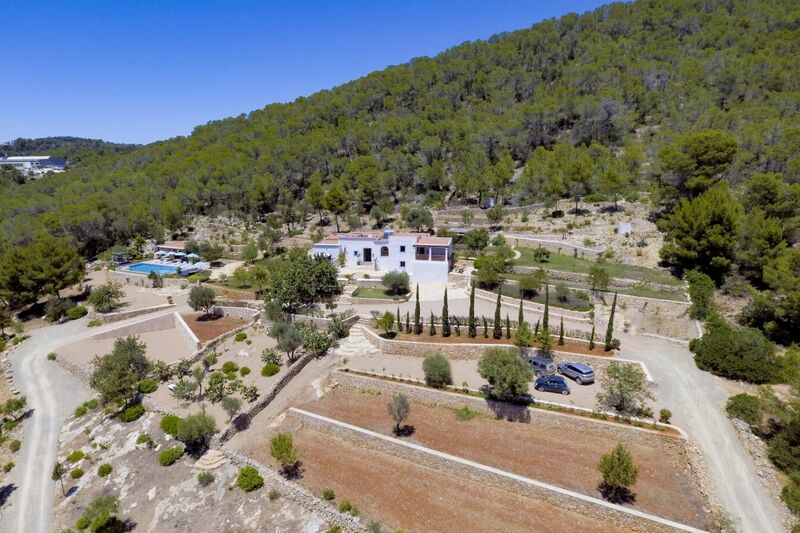 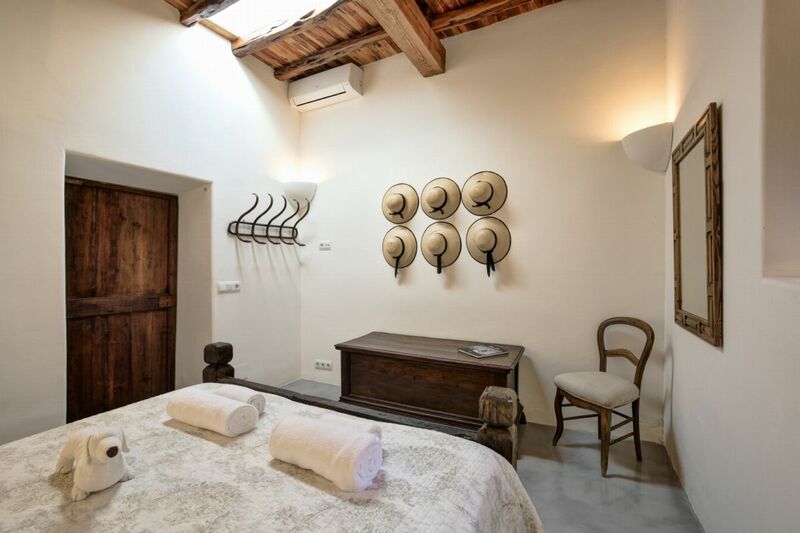 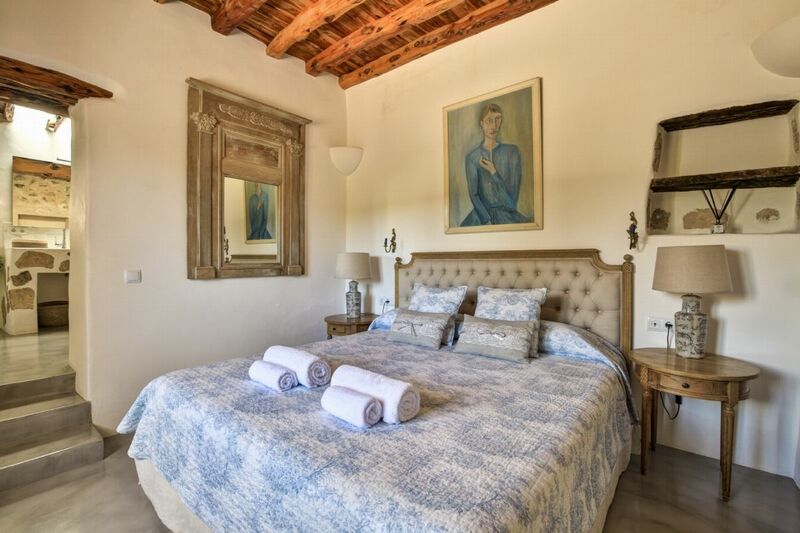 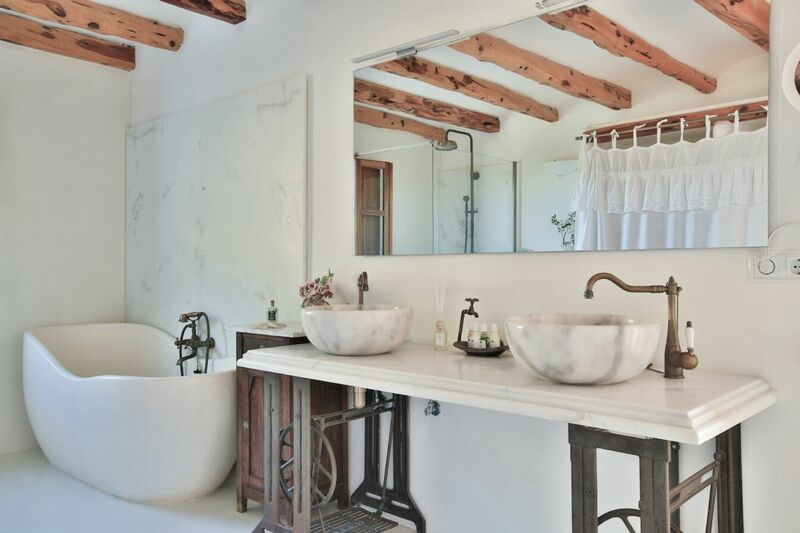 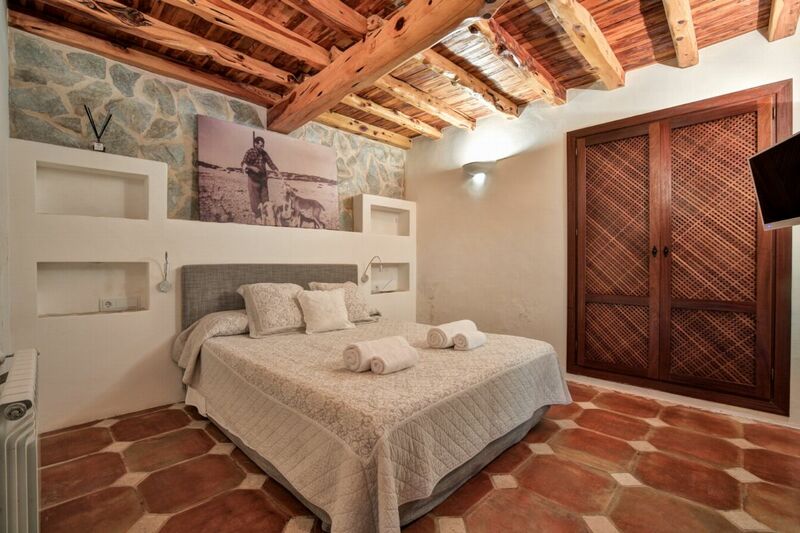 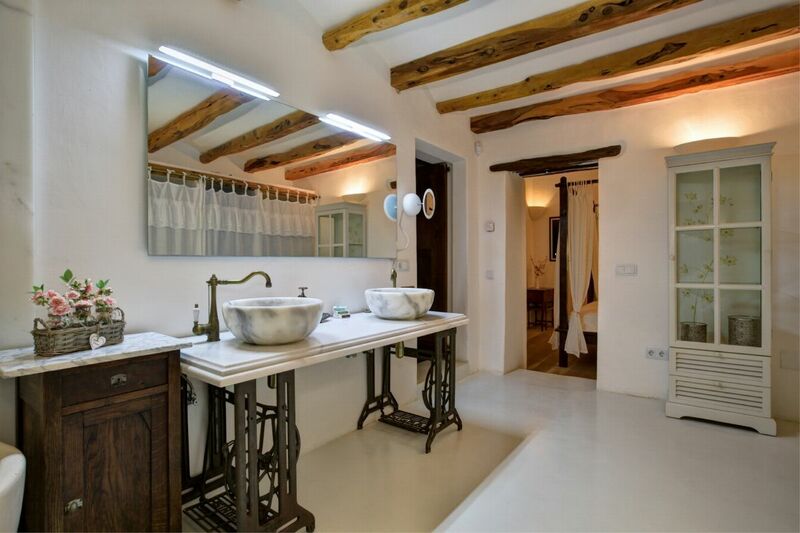 This beautiful large old finca in the surrounding countryside close to San Antonio has been recently renovated to a luxury standard. 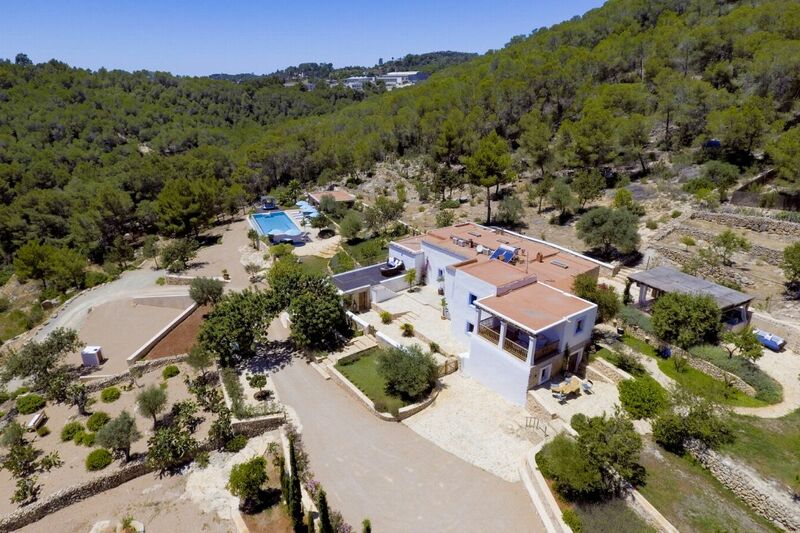 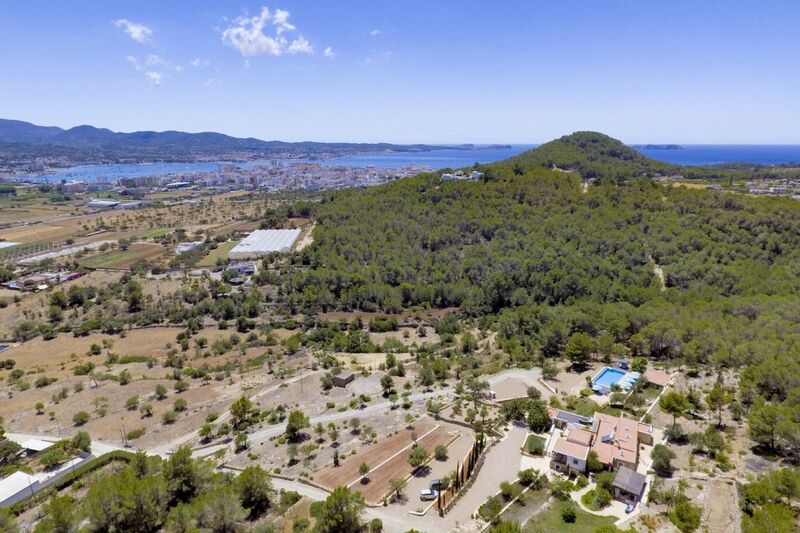 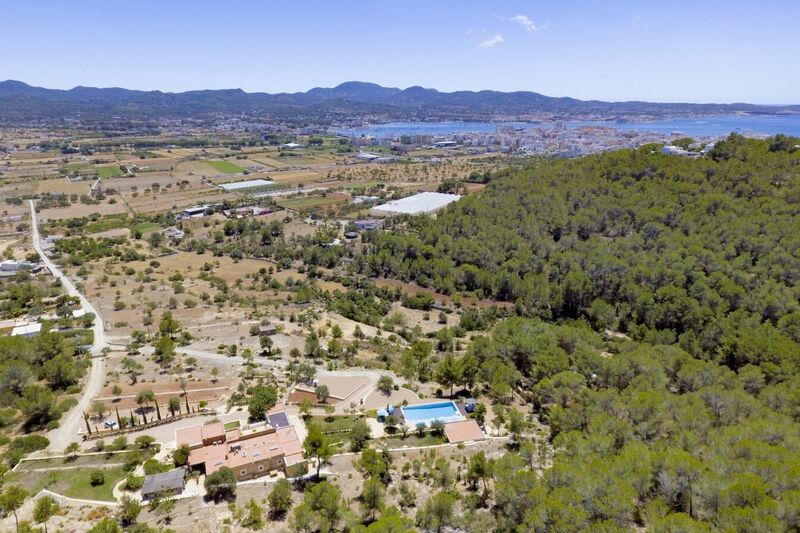 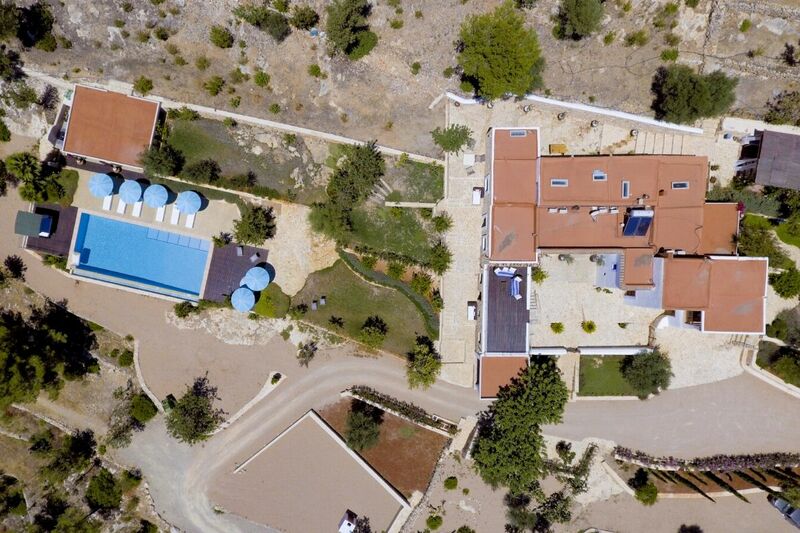 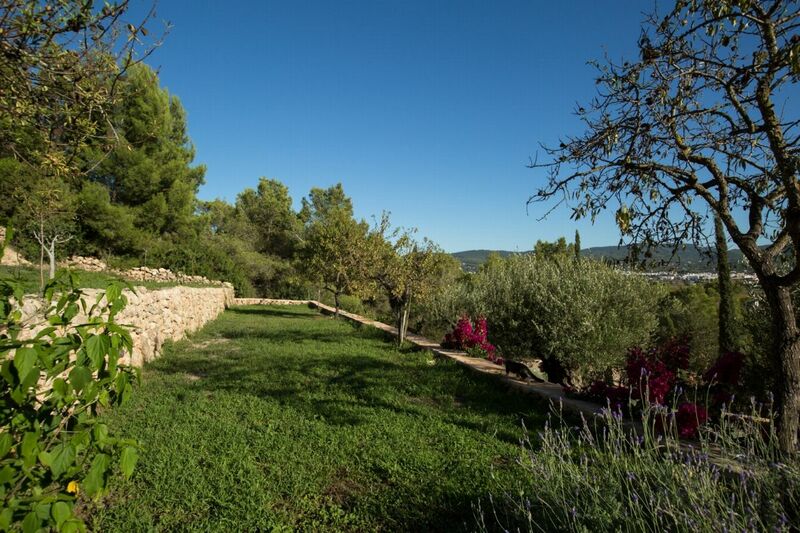 Located at the top of a hill, this property is secluded and surrounded on 3 sides by a pine forest, with 120,000 m2 of its own farm land. 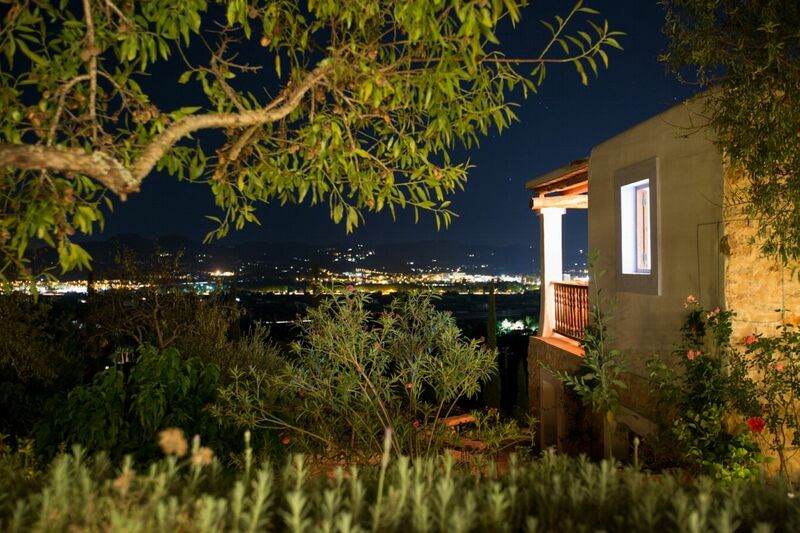 There is a distant sea view to the Bay of San Antonio, to the hills of San Jose and a view of the town below. 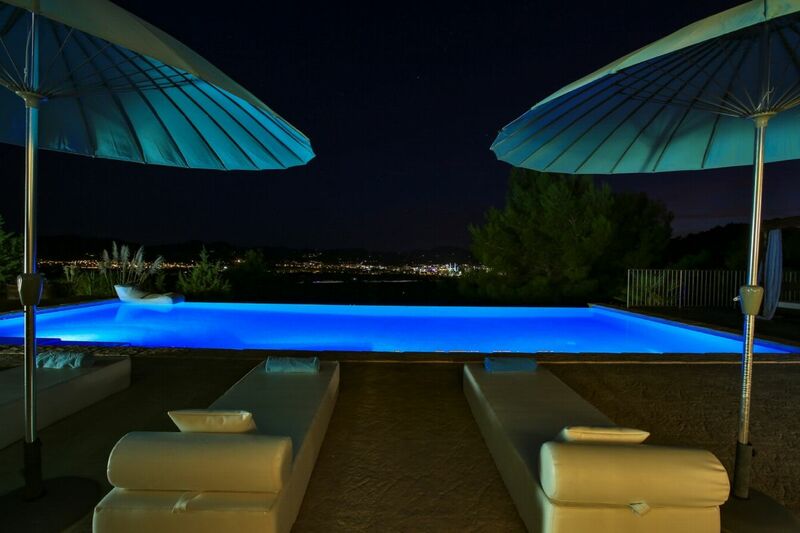 This is the West Coast of the island, so there are many places where the famous Ibiza sunsets can be enjoyed. 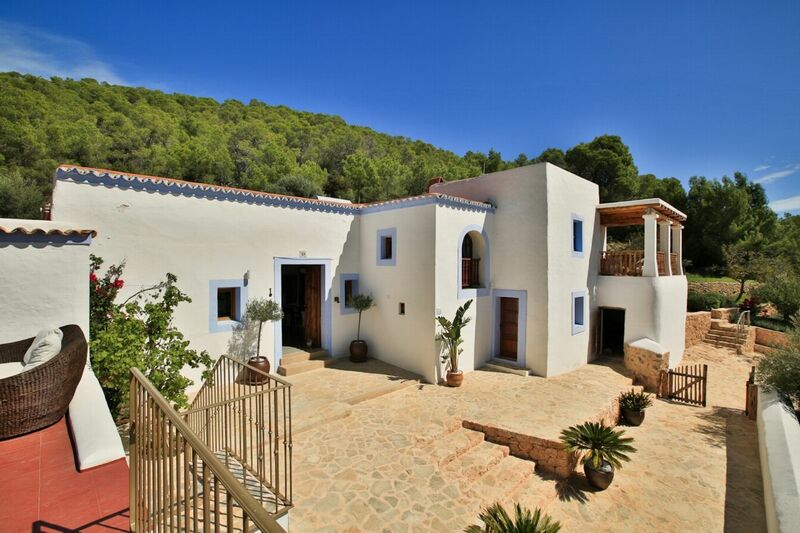 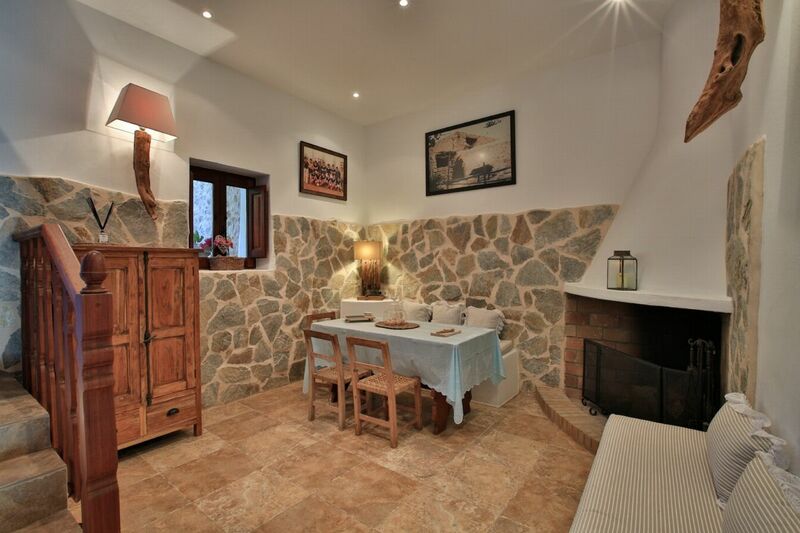 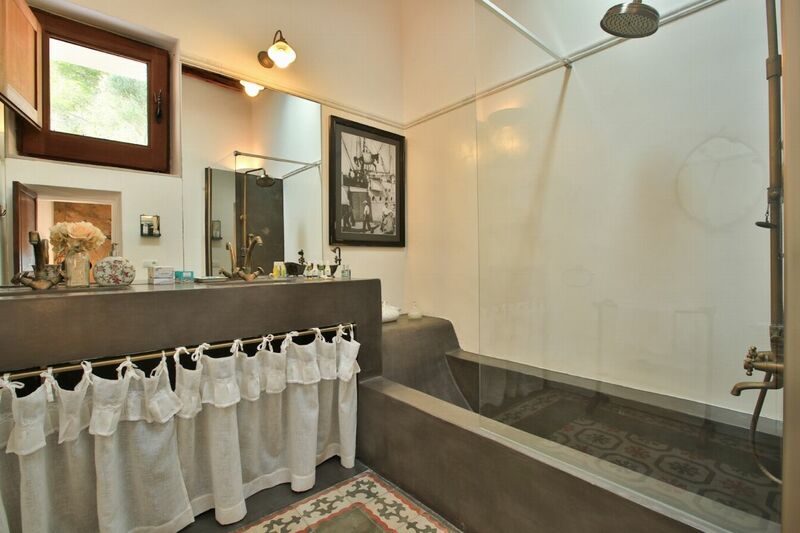 Perfectly located, this property is close to some of the best beaches on the island. 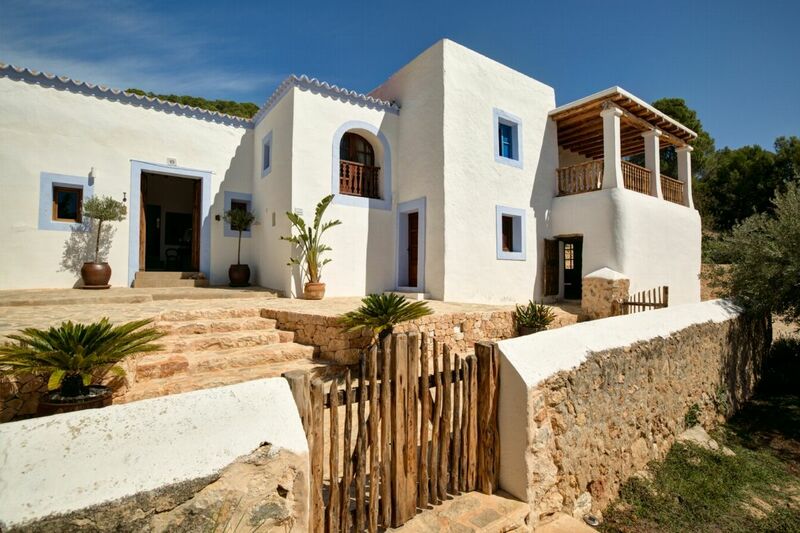 For example Cala Gracio and Gracionetta are 5 minutes away, Punta Galera and Cala Salada 10 minutes, Platges de Conte, Cala Tarida and Cala Carbo 15 minutes and Salinas 20 minutes. 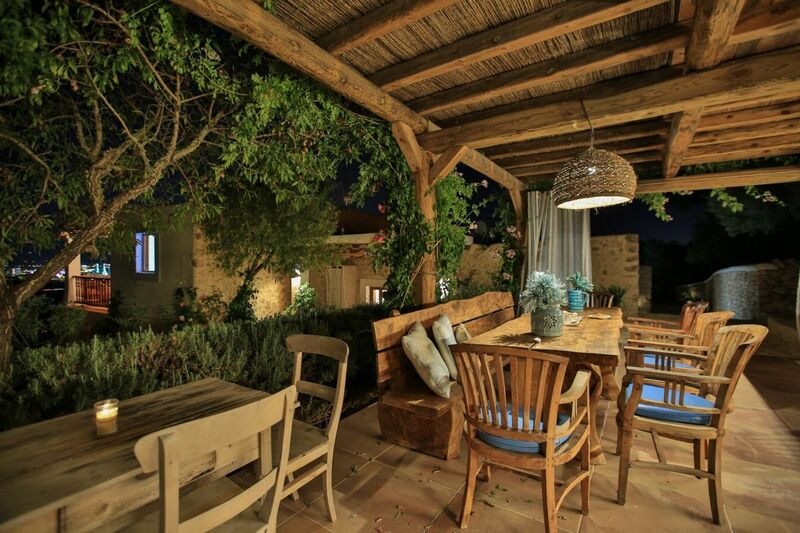 OUTDOOR AREAS The property is gated and has an alarm system. 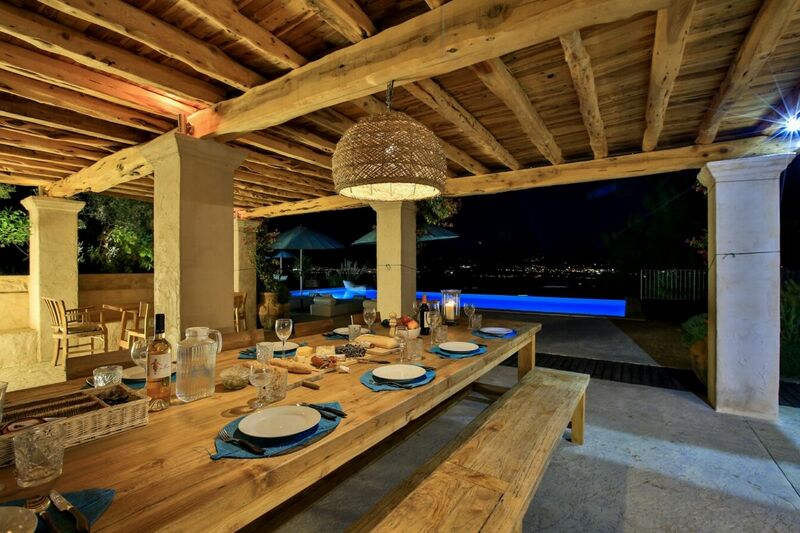 There are 2 large outdoor entertaining areas, which both seat 15-20 people and a further 2 outdoor seating areas spread over the extensive terracing and outdoor space. 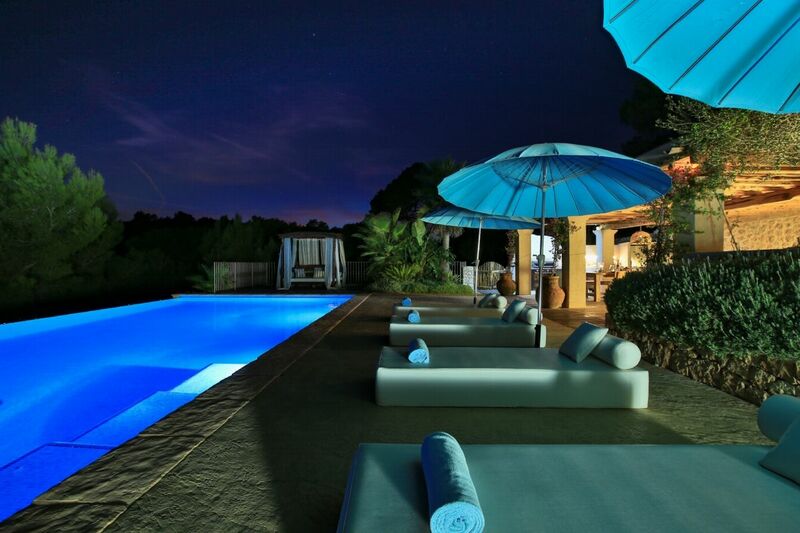 There are luxurious sun loungers surrounding the pool as well as comfortable outdoor furniture. 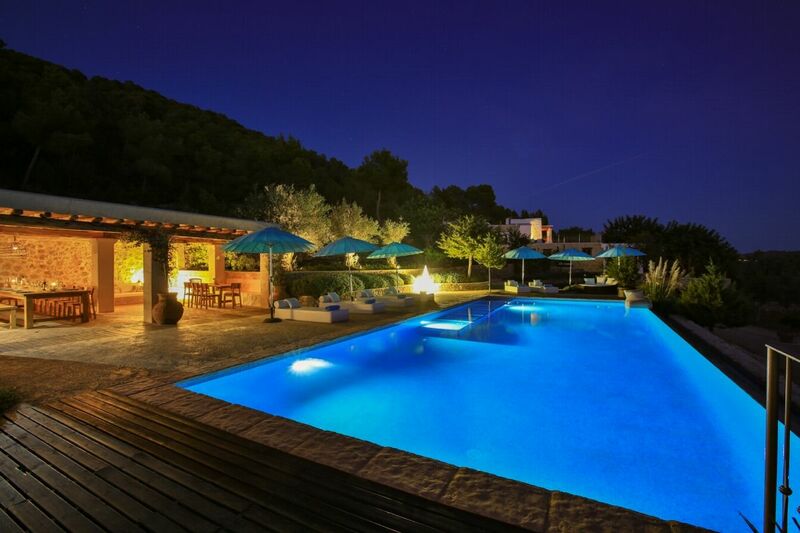 The large 14m x 6m swimming pool is gated and therefore great for families with small children. 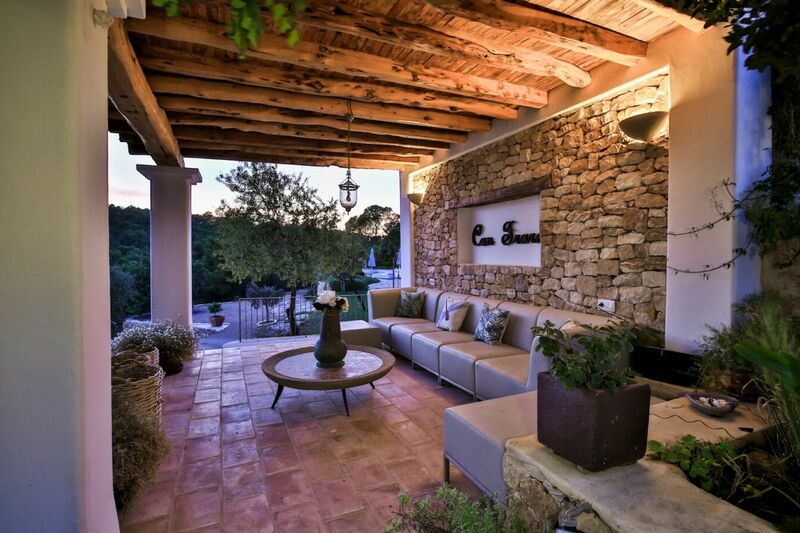 Other outdoor features include - parking space for up to 15 cars and an outdoor cinema. 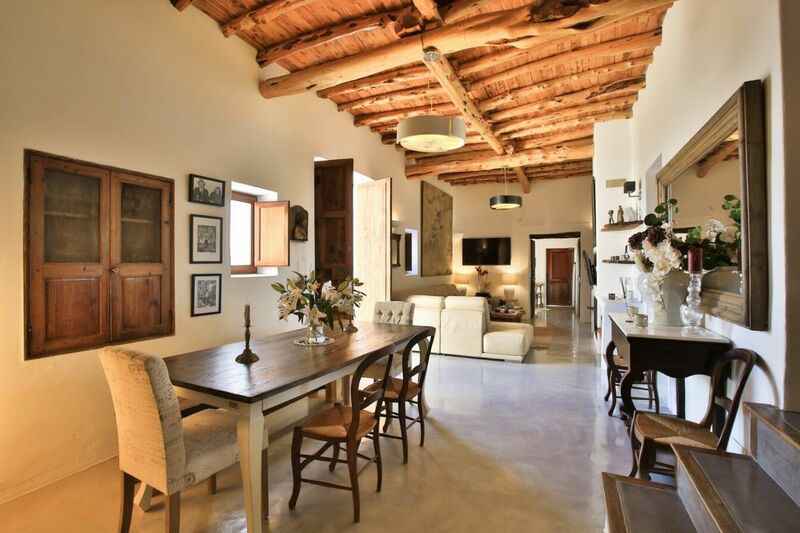 LIVING AREAS This fantastic spacious house has a total internal space of 500 m2 and can easily host 12 people with countless possibilities for dining or entertaining large groups. 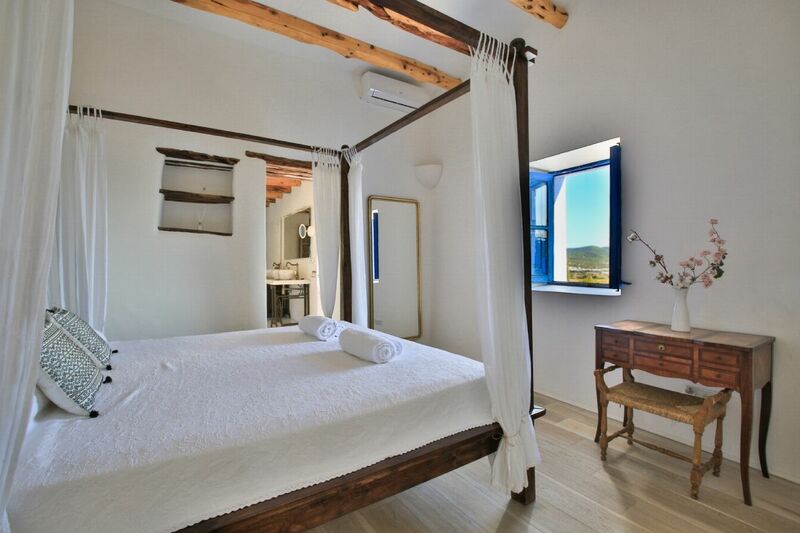 The property is U-shaped, which means that the bedrooms are well separated from each other, providing a sense of privacy. 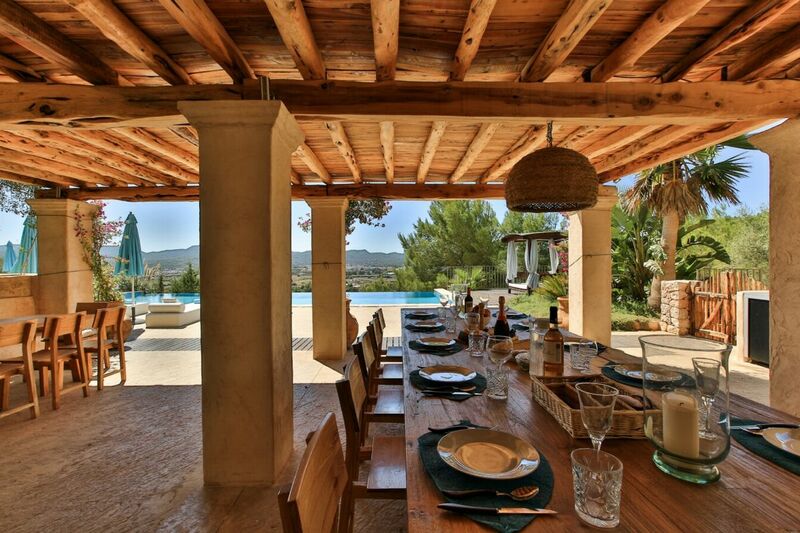 Even when there are 12 people in the villa, there is still a great feeling of space. 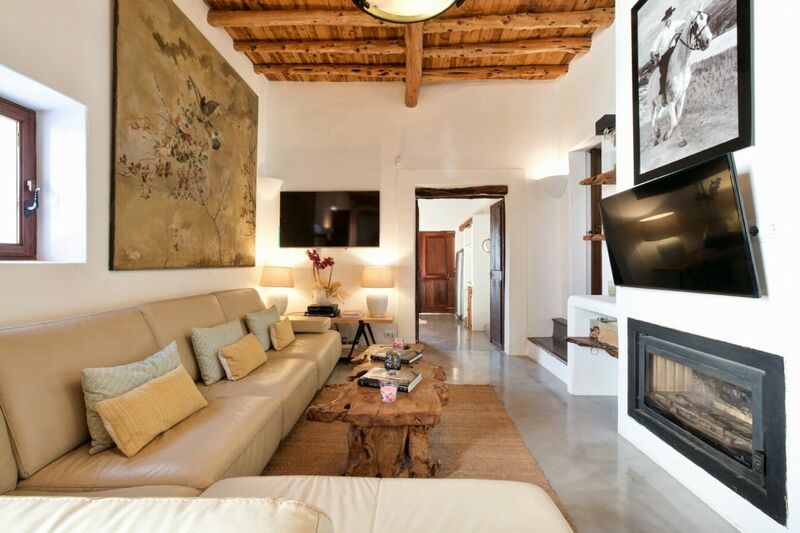 The vast communal areas also include 2 indoor living rooms boasting international satellite TV and the whole property benefits from WIFI and a Sonos sound system with Bose speakers. 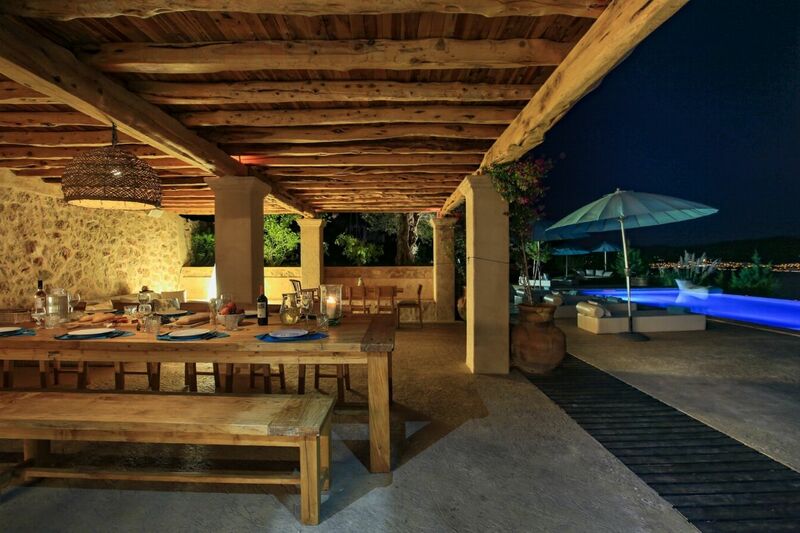 Both the indoor and outdoor fully equipped kitchens feature safety equipment such as smoke alarms, fire blankets & extinguishers. 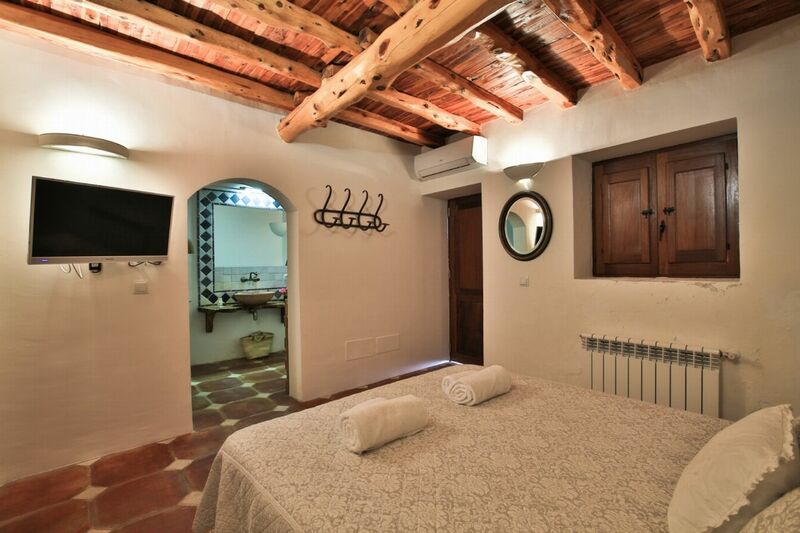 There are also cots & high chairs for the children.